Condition/Comments: Cathedral and taxicab lights are the grails of most lit sign advertising collectors. 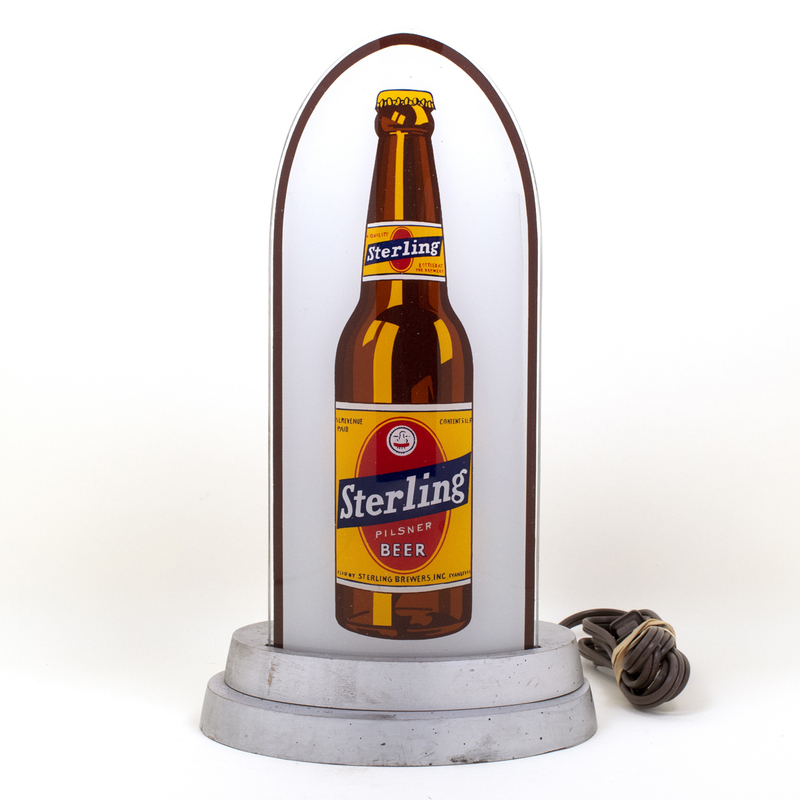 This example from Sterling is in excellent condition, with flawless glass insert and all original base and back plate. There is some evident age and marks on the back plate but certainly nothing to detract from the overall visual impact. The cord has been replaced. A stunning piece, both unlit and when illuminated.